Lauru Football Association (LFA) has had started its station football league in the provincial center last week with five teams namely Private Sector, Provincial Government, Taro Police Royals, Medical and SOE/Partners are talking part. 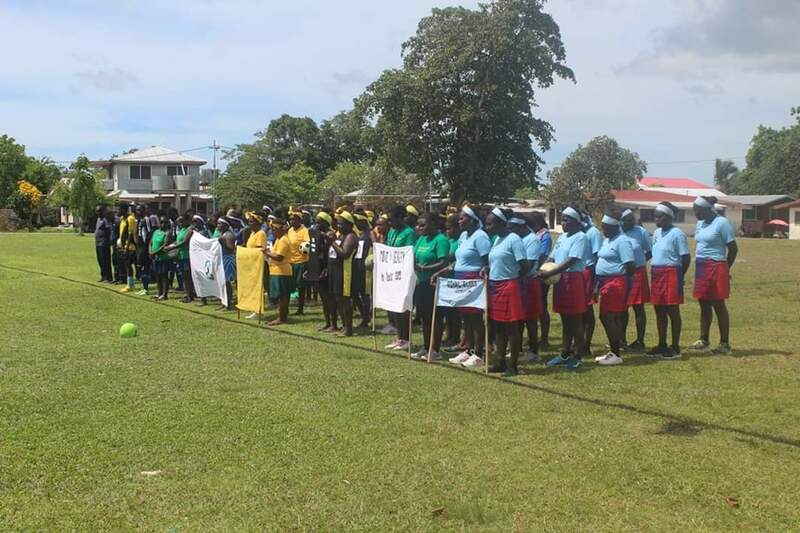 The Island Taro station league kicked off on Monday 18/03/2019 at Taro, Choiseul provincial headquarters with a colourful parade from participating football and netball teams. Minister for Sport and Lauru affairs, Hon John Matapaza official opened the tournament confirming to all sportsmen and women at Taro, that the government of Choiseul Province is fully supportive towards the Local Organising Committee (LOC) for organizing such event in the province. The theme of the Taro Station League is ‘’Work, Play for a healthy Living’’. The Minister urged all residents of Taro and Supizae Island to come out and participate in such organized sporting event to fight against Non-Communicable Diseases (NCDs), the biggest threat to human life besides hunger and climate change. He stressed that fighting NCDs and other unwanted social activities is everybody’s business. The opening ceremony was attended by some members of the Choiseul Provincial Assembly, Head of Departments, Private sectors, church representatives and State-Owned Enterprises (SOEs). Five teams for soccer will be competing in the Taro station league. The first football match that opened the league was between SOEs/partners and Taro Police Royals, in which SOEs defeated Taro Police by 4-2 goals. According to the LOC chairman, Gibson Vilaka, the initiatives are to help the residents to engage in sports activities and also contributing to football development in the province. Matches will be played in five preliminary rounds before going to the top four. Top prizes and consolations will be awarded to league winners. The LOC will be appealing to business houses, the provincial government, private sector or other sporting bodies for sponsors of prizes. The league is proposed to continue till around November 2019. Simultaneously Taro Grassroots Development Program has had started at Taro station by the newly trained male and female grassroots coaches. The program started soon after the Grassroots coaching course organized by Lauru Football Association (LFA) in collaboration with Solomon Islands Football Federation (SIFF). According to grassroots coach Dimitrus Kutini, “age group from 6-8 years, 9-10 years 11-12 years, 13 – 14 years girls and boys are part of the program. “Training programs for football development is on every Saturdays. Almost eighty (80) excited kids attended the program regularly. LFA Development officer, David Pitabelama confirmed that the program has triggered interest from the children in and around Taro station. He reiterated that such programs will roll out within the provincial ward of those that attended the coaching course.